It Began in 1993 When we opened the doors in May 1993 filled with optimism. 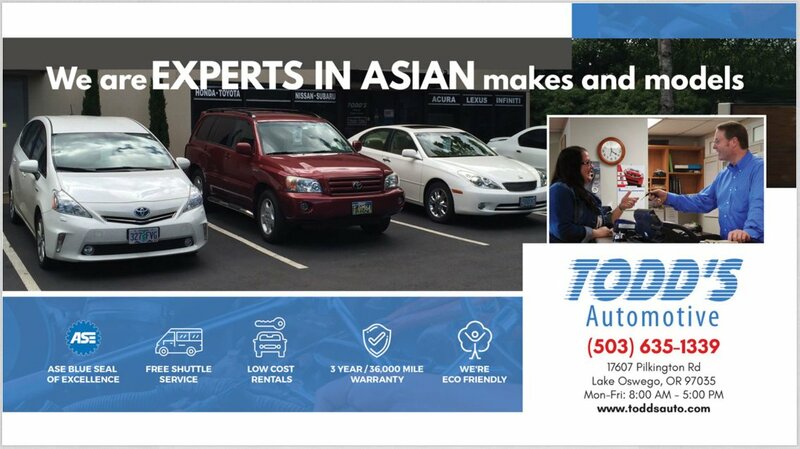 Todd’s was the only Honda-Acura specialty service shop in the area; later expanding to include Toyota-Lexus, Subaru and all other Asian makes and models. Our dreams have been fulfilled and we’ve been able to help thousands of clients with their needs and contribute to the community. From our humble beginnings our facility has grown to 5,000 square feet, with 6 lifts, ample parts storage, a specialty tool room, lunch room and a beautiful customer reception and waiting area; complete with comfortable couches, TV, Wi-Fi fresh coffee and cold bottled water... and of course, a spotless bathroom. We hope to see you walking in the public parks and squares or maybe Bridgeport Village. 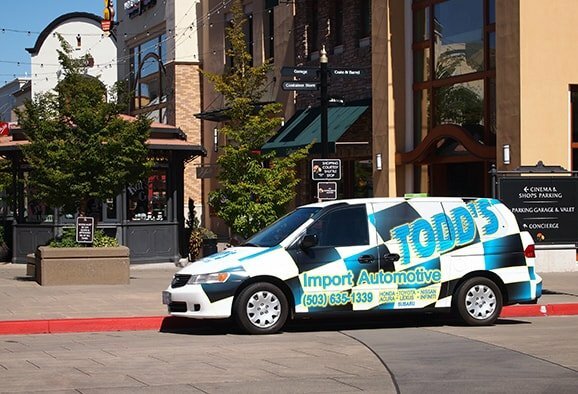 The cheerful Staff at Todd’s Automotive sees every customer as a neighbor and friend and look forward to helping you resolve any automotive issue that may come up. "Went in because my check engine light was on and asked them to change the oil as well. The check engine light turned out to be nothing (my gas cap wasn't screwed on all the way), but I paid $66 for the diagnosis despite that their website promises "Complimentary Comprehensive Inspections". With the oil change, it cost me $108. It was otherwise a good experience - quick service, explained things well, etc." "Very impressed!! I was referred to Todd for an issue with my starter. I called during their lunch break, Todd himself answered. 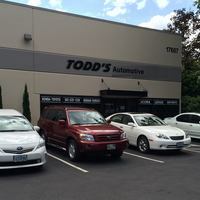 When I expressed how important having it repaired the same day was to me, Todd did a great job, even driving in his car to pick up a part personally. I’m very happy with the service, quality of repair, and timeliness in which the repair was completed. All this and $200 less than the dealer quoted me. Highly recommend Todd and his team." "The staff was friendly, knowledgeable and courteous. They were very thorough and took excellent care of my car. 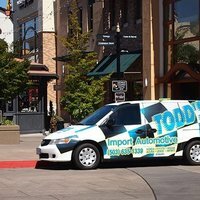 I will be taking my vehicles to Todd's Automotive from now on!" 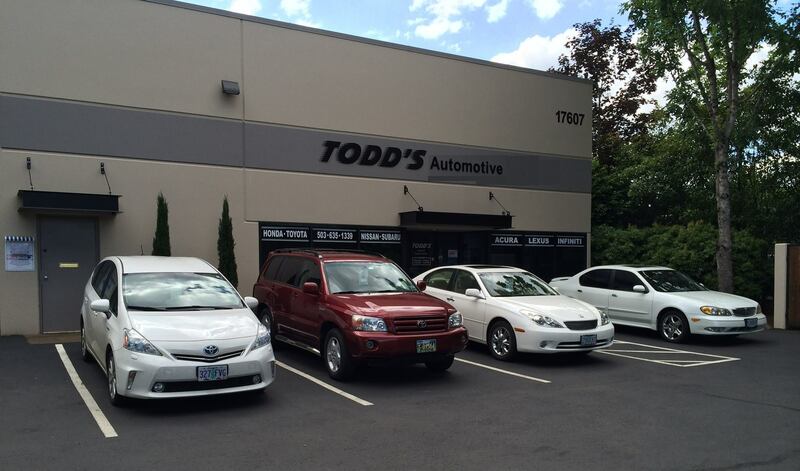 "Been using Todd's to service my Lexus for 10 years. Been very happy with his integrity and level of service. He has recently taken a less active role. Haven't seen a change in service yet." "Love this Place ! Honest mechanics and incredible service. 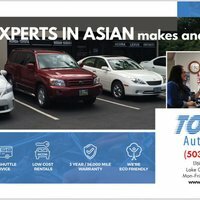 Only place i go in the Portland area to get my cars worked on. Thanks again Kevin"